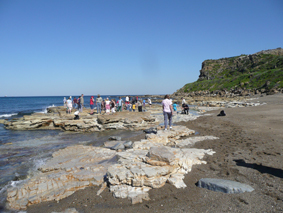 During August and September 2007.Creation Research conducted four field trips near Newcastle on the east coast of Australia. Recent severe storms had unearthed much new material. On one excursion more than 50 home school students and parents had a great time being rock detectives.